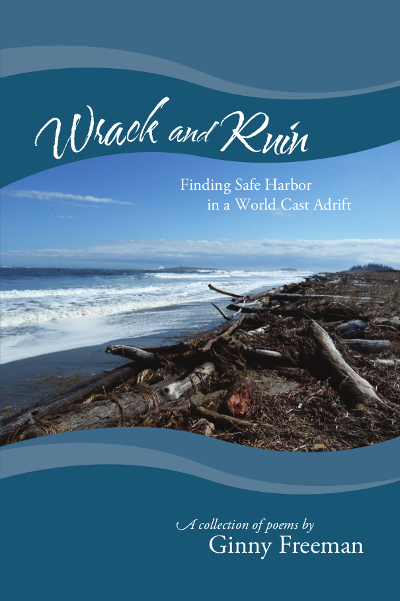 In a world of chaos, when people and nature alike are cast away like so much flotsam and jetsam, these poems remind us to be beachcombers who recognize beauty even in brokenness; they teach us to treasure simplicity, and celebrate diversity in nature. It’s very good to see poetry engaging the deepest questions we face—especially the marring separation between people and the rest of nature. GINNY FREEMAN, grew up along the coast, nurtured by woods and waters of Midcoast Maine. There she developed a deep sense of place and respect for the wild and scenic beauty that defines the land and its people. The experiences and insights of her rich multi-generational history quickly deepened into a strong ecological ethic, and a fierce determination to share the beauty of this life. Her writing invites her readers to walk beneath the pines and be in touch with the earth.